A measure-by-measure review of this contract's performance against all 4+ rated contracts and by other selected contracts in this market area. Confidential and Proprietary for Hyperlift Logic, Inc.
We conducted a peer analysis of this contract to identify new opportunities for improvement based on this contract's performance relative to other chosen contracts in market. 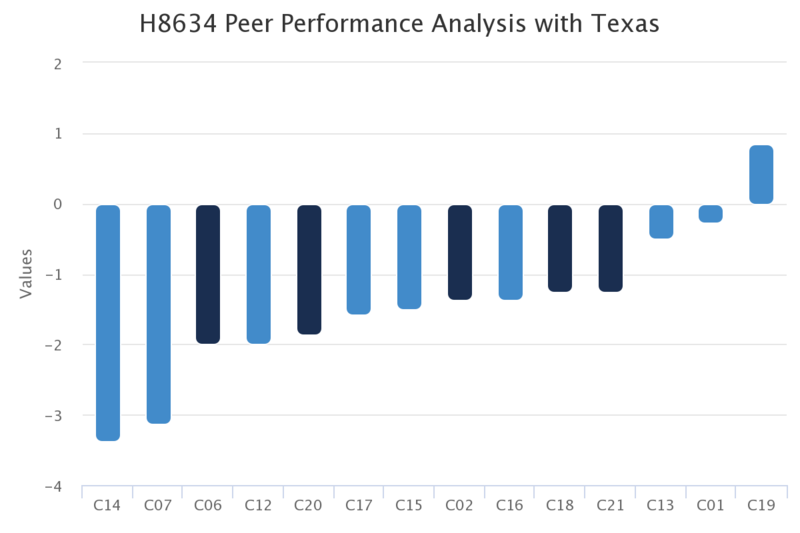 We first conducted an analysis of this contract's measure-by-measure performance against all plans that scored a 4 or higher in Stars 2019. We then evaluated against other selected plans in this market area. We then dissected the contract more and evaluated the measure performance relative to market by Part C, Part D, HEDIS, and CAHPS. Below is a high level summary of the number of measures that underperformed / outperformed the average of all 4+ rated plans by measure and measure groupings. Below is a high level summary of the number of measures that underperformed / outperformed the average of a selected group of contracts in market overall by measure and measure groupings. 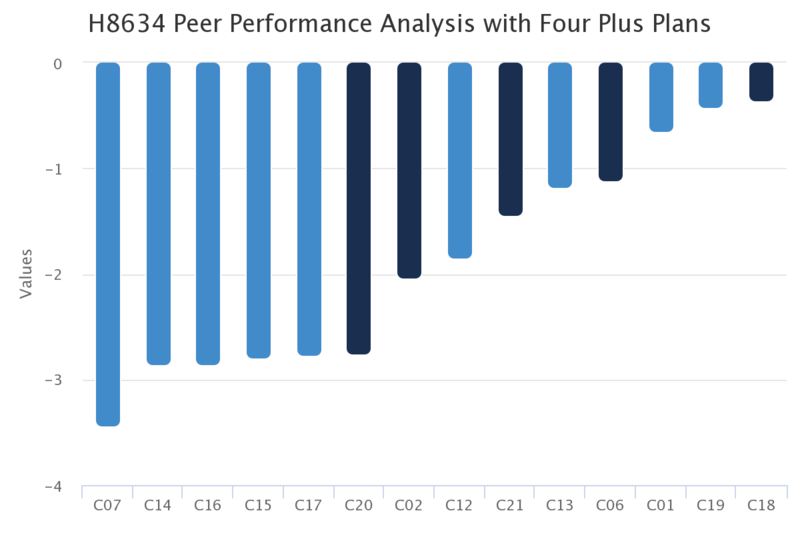 The chart below shows the Part C measures for this contract and how they performed (on a Star rating basis) compared to the average of all 4+ rated plans in market. The left side indicates underperforming measures and the right shows the measures that outperformed this peer group. 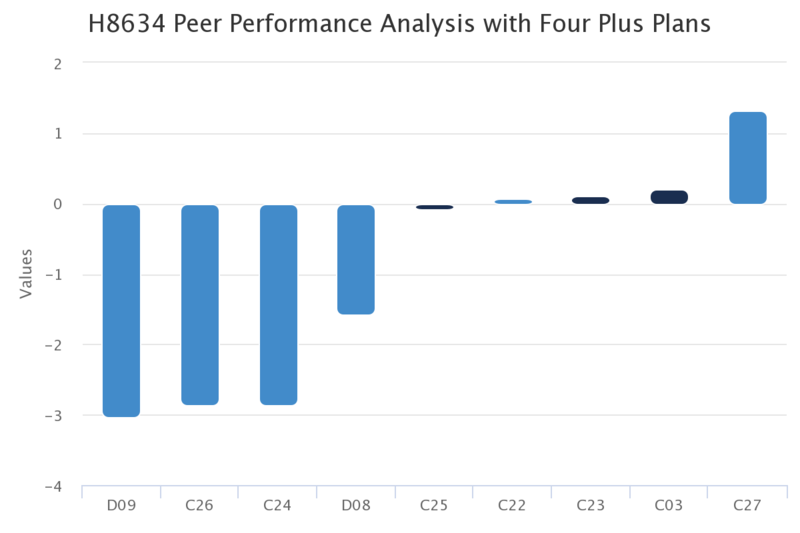 The chart below shows the Part C measures for this contract and how they performed (on a Star rating basis) compared to the average of the selected peer contracts in market. The chart below shows the Part D measures for this contract and how they performed (on a Star rating basis) compared to the average of all 4+ rated plans in market. 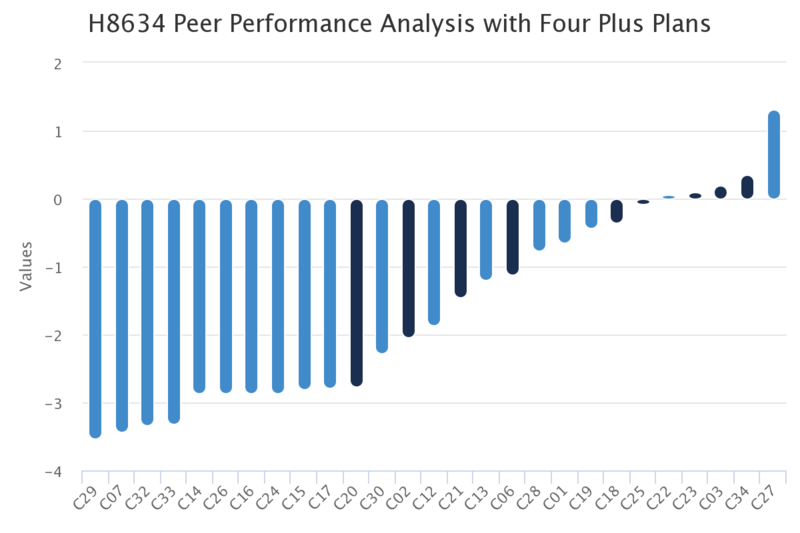 The chart below shows the Part D measures for this contract and how they performed (on a Star rating basis) compared to the average of the selected peer contracts in market. 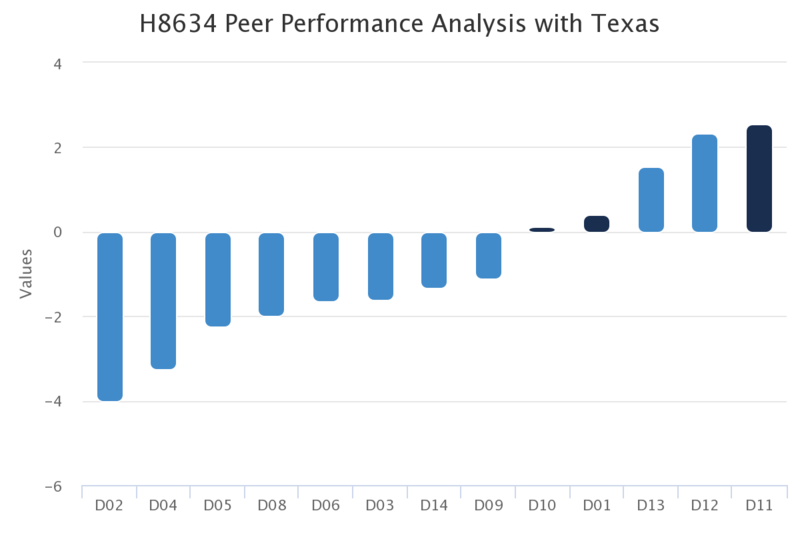 An overview of this contract's HEDIS measure performance relative to all 4+ rated plans. 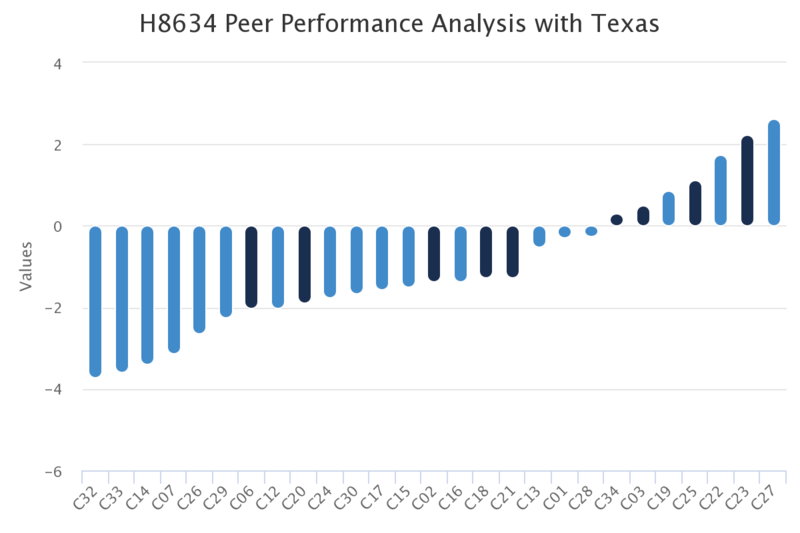 An overview of this contract's HEDIS measure performance relative to the selected peer contracts in market. 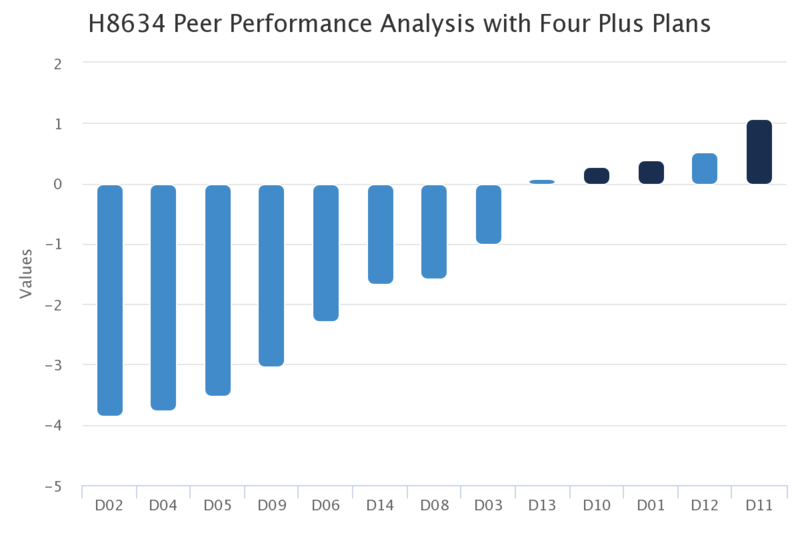 An overview of this contract's CAHPS measure performance relative to all 4+ rated plans. 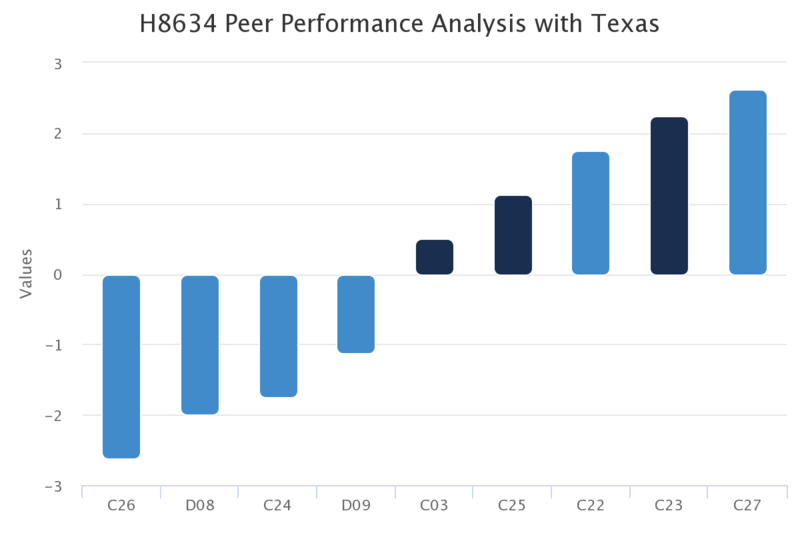 An overview of this contract's CAHPS measure performance relative to the selected peer contracts in market. Consider Hyperlift's DaaS as another member of your Stars team. The one who sits quietly in the corner to provide analysis and insights and creates deliverables that you can use to stay up-to-date and share with stakeholders across the organization. Hyperlift's DaaS solution is designed to support MA-PD plans who would like access to the rigorous Stars management approach and discipline included in Hyperlift's Stars Management Suite (SMS) but not spend the time required to conduct the analysis and create the deliverables on an ongoing basis. By subscribing to Hyperlift's DaaS, customers can access the analytics, insights, expertise, and professionally designed reporting and presentation materials provided by Hyperlift's SMS and have the materials delivered electronically each month. The subscription starts with a full, collaborative Measure Assessment and the results are used to develop a sustainable process to ensure transparent and efficient Stars management throughout the year. Click here to learn more details about how Hyperlift's DaaS can supercharge your Stars management from strategy through execution.